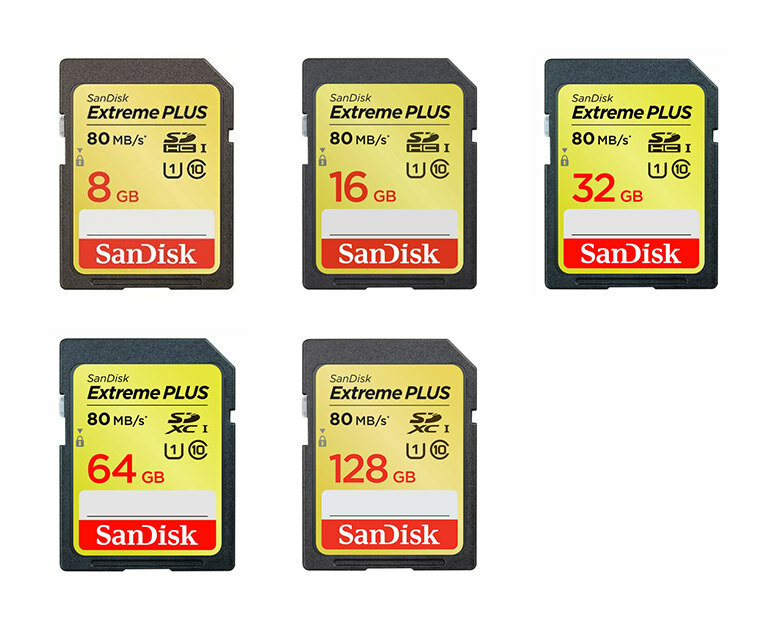 [UPDATED] Sandisk has released their new Extreme Plus SD 80MB/s series. These new cards will come in 5 different capacities, ranging from a 8GB SDHC to a 128GB SDXC. These cards are rated at 80MB/s read speeds and 60MB/s write speeds. Here's for hoping that these cards are capable of recording CinemaDNG continuously with the Pocket Cinema Camera. Especially the 64GB card, since that's the sweetspot as far as price/capacity goes - the 128GB card is still way too expensive right now. Taking the Sandisk reputation into consideration, these speeds will be quite solid, but there's nothing like a field test with the actual cards. Hopefully this opportunity will come to some users soon! [UPDATE] Well, it seems that we're gladly living in a world where someone still can be wrong. This new series is actually a re-branding of the existing Sandisk Extreme 80MB/s cards, without the plus. Too bad - we could've used a newer and a bit faster type of SD card.